For the third consecutive year, the main facade of the Palau de la Música Catalana will be lit up in red on Tuesday December 1, World AIDS Day, as part of AIDS Countdown Barcelona. The aim of this charity campaign, created and promoted by the Foundation Fighting AIDS, is to organise a range of actions to make everyone part of working towards curing the disease. 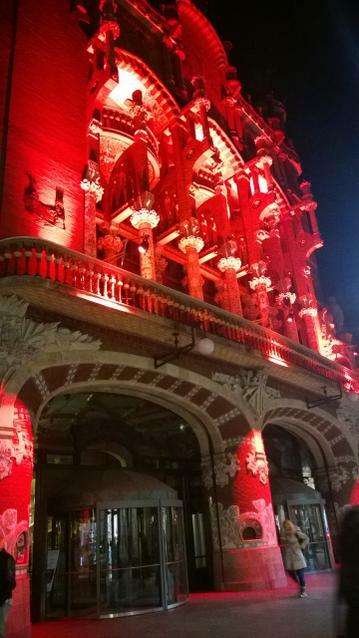 Along with other landmarks in the city, the illumination of the main facade of the Palau will come on at 6pm and last until midnight, an action that will highlight the commitment and solidarity of the Palau de la Música Catalana and the Orfeó Català to preventing and combating AIDS. AIDS Countdown Barcelona also includes charity nights, the 6th AIDS Gala Barcelona and AIDS World Cycling.